A Photo Chick's Journal in Paradise: Hawai'i Visitors & Convention Bureau Member!!! 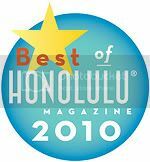 Hokuli'i Images, LLC is finally an HVCB Member! MAHALO to Michael Duke for all your kokua!! !